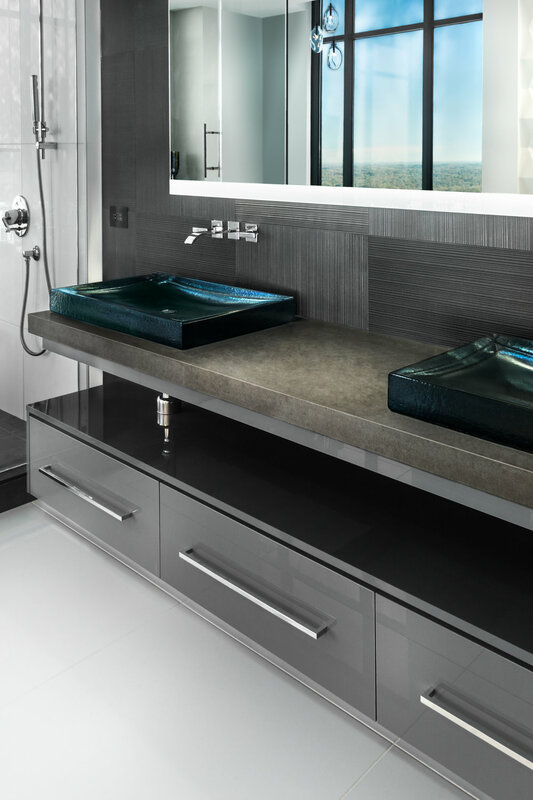 HanStone Quartz was designated as Best of Design for Made in North America Solid Surface by Modern Luxury Interiors Atlanta magazine and featured in the February 2019 issue. 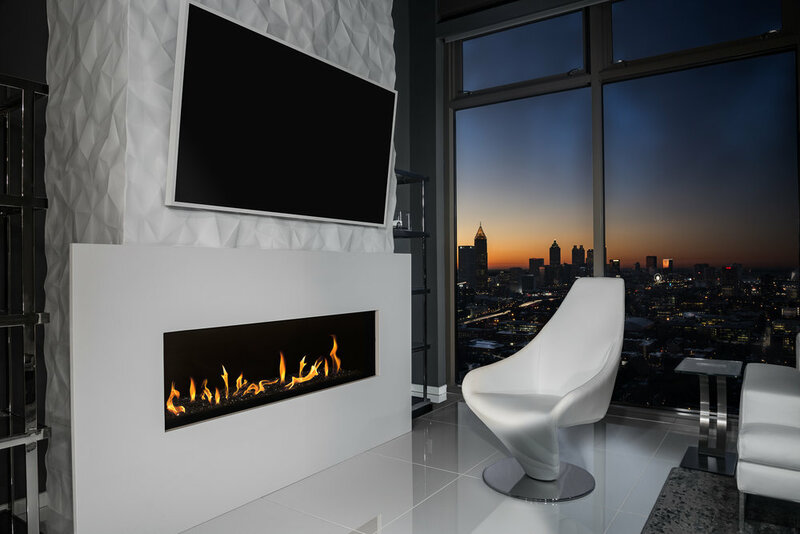 Bloodfire Studios worked with Hanwha in early 2018 to capture images of this fantastic penthouse in Atlantic Station. The designer and contractor was GoToPros and the fabulous Vyk Genys. Scroll down to see other images from this location. A tearsheet from the February 2019 issue of Modern Luxury Interiors Atlanta magazine. 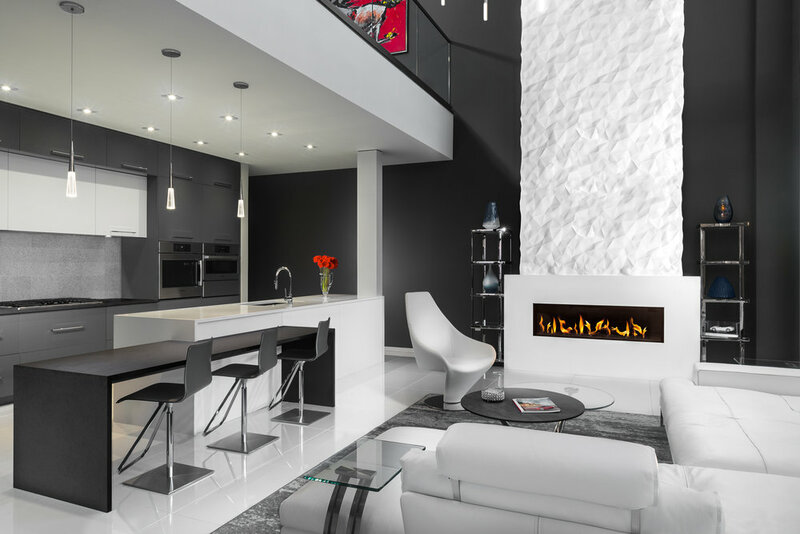 Atlanta, Georgia: January 27, 2018 – Bloodfire Studios of Atlanta has won “Best Of Photographic Design” on Houzz®, the leading platform for home remodeling and design. The professional architectural photographer was chosen by the more than 40 million monthly unique users that comprise the Houzz community from among more than one million active home building, remodeling and design industry professionals. Grey and periwinkle are a great combo for an Owner’s Suite. Designed and remodeled by db Atlanta. Condo remodel at 923 Peachtree Street in downtown Atlanta. Remodel performed by dbAtlanta.